The nanocrystals might be used to create a new class of biomaterials with wide-ranging applications, such as strengthening construction materials and automotive components. Calculations using precise models based on the atomic structure of cellulose show the crystals have a stiffness of 206 gigapascals, which is comparable to steel, said Pablo D. Zavattieri, a Purdue University assistant professor of civil engineering. The nanocrystals are about 3 nanometers wide by 500 nanometers long, making them too small to study with light microscopes and difficult to measure with laboratory instruments. 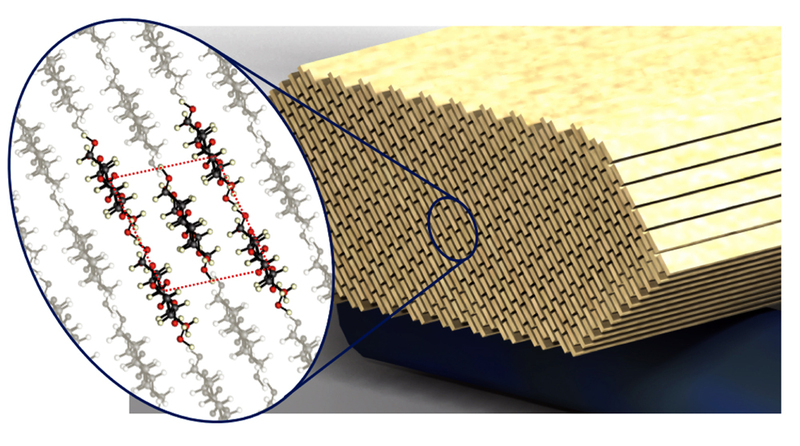 The findings represent a milestone in understanding the fundamental mechanical behavior of the cellulose nanocrystals. “It is also the first step towards a multiscale modeling approach to understand and predict the behavior of individual crystals, the interaction between them, and their interaction with other materials,” Zavattieri said. 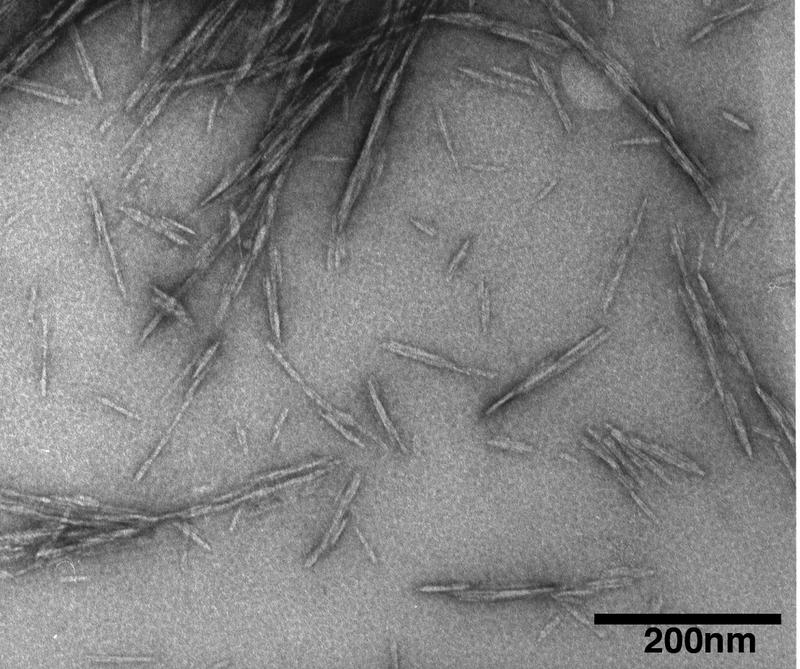 The cellulose nanocrystals represent a potential green alternative to carbon nanotubes for reinforcing materials such as polymers and concrete. Applications for biomaterials made from the cellulose nanocrystals might include biodegradable plastic bags, textiles and wound dressings; flexible batteries made from electrically conductive paper; new drug-delivery technologies; transparent flexible displays for electronic devices; special filters for water purification; new types of sensors; and computer memory. Cellulose could come from a variety of biological sources including trees, plants, algae, ocean-dwelling organisms called tunicates, and bacteria that create a protective web of cellulose. Biomaterials manufacturing could be a natural extension of the paper and biofuels industries, using technology that is already well-established for cellulose-based materials. Their surface can be chemically modified to achieve different surface properties. “For example, you might want to modify the surface so that it binds strongly with a reinforcing polymer to make a new type of tough composite material, or you might want to change the chemical characteristics so that it behaves differently with its environment,” Moon said. Zavattieri plans to extend his research to study the properties of alpha-chitin, a material from the shells of organisms including lobsters, crabs, mollusks and insects. Alpha-chitin appears to have similar mechanical properties as cellulose. “This material is also abundant, renewable and waste of the food industry,” he said. Researchers at the General Motors Research and Development Center and the U.S. Forest Service’s Forest Products Laboratory were also involved. The research was funded by the Forest Products Laboratory through the U.S. Department of Agriculture, the Purdue Research Foundation and the National Science Foundation. In spite of the significant potential of cellulose nanocrystals as functional nanoparticles for numerous applications, a fundamental understanding of the mechanical properties of defect-free, crystalline cellulose is still lacking. In this paper, the elasticity matrix for cellulose Iβ with hydrogen bonding network A was calculated using ab initio density functional theory with a semi-empirical correction for van der Waals interactions. The computed Young’s modulus is found to be 206 GPa along  (c-axis), 98 GPa along  (b-axis), and 19 GPa along  (a-axis). Full compliance matrices are reported for 1.0, 1.5 and 2.0 % applied strains Color contour surfaces that show variations of the Young’s modulus and average Poisson’s ratio with crystallographic direction revealed the extreme anisotropies of these important mechanical properties. The sensitivity of the elastic parameters to misalignments in the crystal were examined with 2D polar plots within selected planes containing specific bonding characteristics; these are used to explain the substantial variability in the reported experimental Young’s moduli values. Results for the lattice directions ,  and  are within the range of reported experimental and other numerical values.